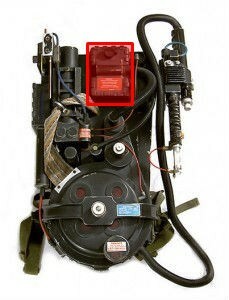 The Crank Generator and Gearbox together make up a rectangular, ribbed box located at the top center of the Proton Pack. The upper section is home to the Raytheon Crank Knob, and therefore called the Crank Generator. The lower portion is called the Gearbox, although many will use Crank Generator or Gearbox interchangeably to describe the whole unit. Dividing the Crank Generator and Gearbox is a cylindrical protrusion across the center, sometimes called the Vacuum Pump. A tube made of split wire loom connects the Vacuum Pump to the Synchronous Generator. 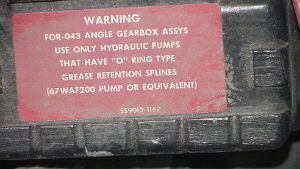 The Gearbox sports a red warning label. This page was last edited on September 5, 2014, at 22:12.